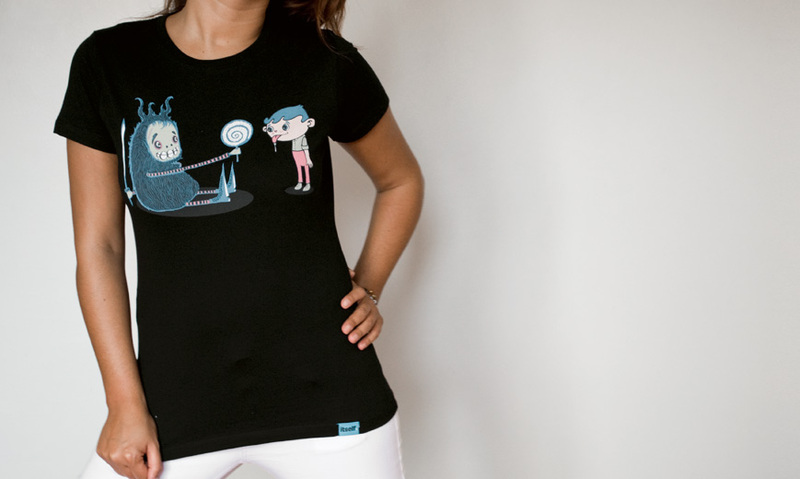 Never Take Candy From a Strange Thing | Siyah Kadın Kısa kollu t-shirt | itself. A design by Craig Watkins aka wotto of UK. Printed on itself black basic t-shirt with water-based inks and discharge technique. Ultra soft, 7 color print.